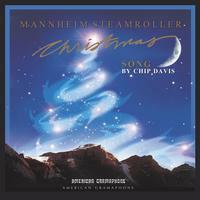 2007 holiday treat from Chip Davis and Mannheim Steamroller! Features guest vocals from Johnny Mathis (no stranger to great holiday recordings) plus Olivia Newton-John. 12 tracks including "Have Yourself A Merry Little Christmas," "Frosty The Snowman" and many others. American Gramaphone.